In August 2012 Barry Gross purchased Arizona Silhouette and moved it to PA. 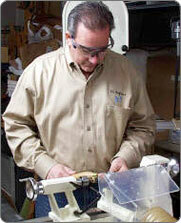 He is an artisan with over 30 years of varied experience working in several diverse media. Barry is inspired by nature and loves the texture and rich feel of each piece of exotic wood that he turns. 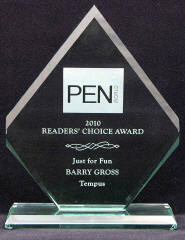 His recent work, creating fine writing instruments from re-cycled material, has lead to his receiving a Readers’ Choice Award from Pen World Magazine. He has published over 50 articles in several woodworking magazines, is an author of three books on turning and just released his second DVD. He is a member of the American Association of Woodturners (AAW), Bucks County Woodturners, Pennsylvania Guild of Craftsman, Pen Makers Guild and was chosen to join the National Register of Who’s Who for executives and professionals. He is a guest speaker / presenter at many woodworking shows and turning clubs throughout the northeast and has twice been chosen twice to demonstrate his pen techniques at the most recent AAW symposiums in Albuquerque New Mexico and Hartford Connecticut.